I'm really getting into The Big Bang Theory in a really rubbish way. The Big Bang Theory, for those that don't know, is basically a sitcom about a bunch of geeks. Made by the same guy behind Two And A Half Men (and Bill Prady, whose involvements include Star Trek Voyager and the Muppets), it's a very funny series. I got into it because Wil Wheaton is in various episodes, and as a huge fan of Wil I really wanted to get in The Big Bang Theory. Hence I promptly recorded 85 episodes, then deleted 81 because the Sky+ box was full and Christmas is coming up! And now I've watched all the episodes I left (yes, the Wil ones) and I need more! If you have a minute why not watch the below music video. Very funny and nice. Finally, I need your help. 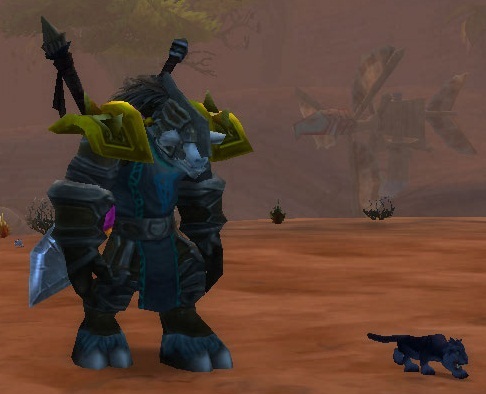 I've been pet battling in World of Warcraft, and I need names for my favourite pets! 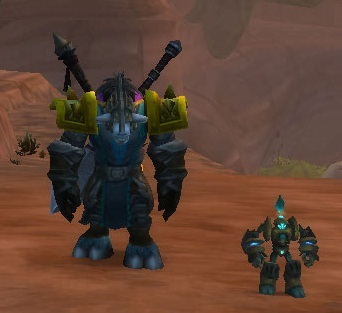 This adorable little guy is my robot, Lil' XT. He does a nasty electric shock attack, can repair himself, set a explosive bomb up, and when he dies can resurrect himself. Very nice! 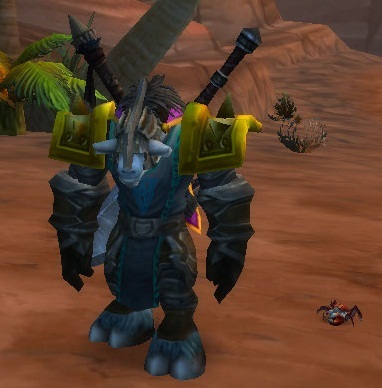 This chap is my crab. To be quite honest he's a little dull, but hard as nails to kill. Panther cub! Everyone coo and aww before he kills you. But by far my favourite pet is my panther cub. He does a stupidly large amount of damage, generally attacks before anything else can attack him, and if you play him right he heals himself by killing other animals. Fun! But these pets need names. Any suggestions, drop me an email or reply to this post with a comment.